Last week you guys clearly went crazy for the Ice-cream Dino Toy Station Exclusive by Ziqi Monster Little x Unbox Industries as Toy Station sold out! Like we said last week we promised you the international order for Toy Station exclusive. This weekend is your chance to own one, have your fingers and alarm ready. 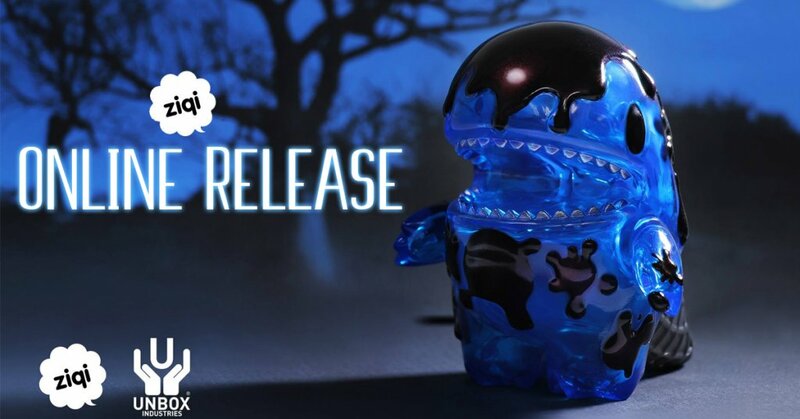 To clarify, the friendship and mark the 17th anniversary of Hong Kong’s Toy store “Toy Station”, Ziqi Monster Little & Unbox Industries have blessed the store with a special edition Ice-cream Dino! Semi-Translucent with a slightly metallic finish! Fancy right? We can’t imagine any more colour combinations or editions, our bank accounts can’t take it anymore, HA. P.s Happy Birthday Toy Station! A friendly partner who has been fighting in the corner with unbox industries and a wide range of toy fans. As Toy Station turns 17 of the opening of the store. In Honor of this important day, unbox team along with ziqi celebrates with this Best Gift for toy station 17th birthday. Just in time for the sunshine!..Ice Cream Dino by Ziqi Returns! Everyone’s favourite ice cream dinosaur is back with a new flavour. Leave you guys with a Taipei Toy Festival LIVE stream of TriDino if you haven’t seen it before. in the meantime check out our LIVE unboxing of Ice-cream Dino below. Behind the scenes at Unbox Industries HQ and you will see some prototypes. Need a review? Check out our Facebook LIVE review. Enter Ziqi cute world of monsters and characters via http://monsterlittle.com/ and Instagram.